This massage chair is as visually stimulating as it is relaxing. Featuring high quality leather upholstery, available in decadent black (KL), this chair was designed to fit in with your home décor. 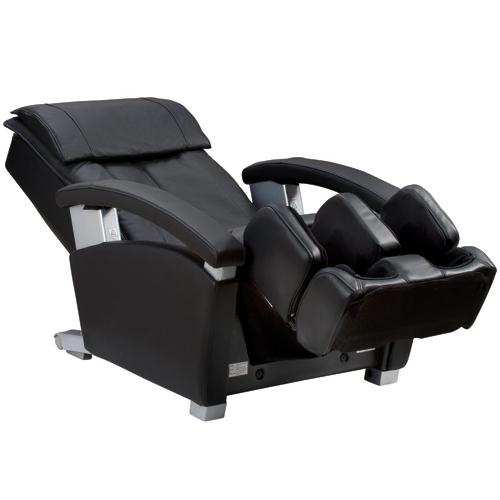 Why sacrifice your home’s aesthetic when you can have a healthy massage chair that caters to your pre-existing theme? These contemporary, sophisticated chairs are sure to draw attention. Once you’ve sat down in one, you won’t want to leave! No other chair in its price bracket delivers so much specialized variety! 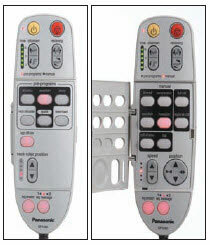 Panasonic provides a full-featured light-up remote control you can't misplace. There are 8 massage modes available (Knead, Compression, Swedish, Hawaiian, Full roll, Full regional roll, Soft Shiatsu, Tapping). You can custom tailor the experience to be more effective for your unique body by adjusting the target areas that the rollers and kneaders work as well as intensity settings. Endorsed by the ACA, Panasonic’s 35 Years of Massage Therapy Technology is brought to bear to do the most good; your comfort and health are assured by the experts!